Yet another beautiful Glacier Star quilt. Each one has its own personality reflecting the quilter that made it. This one is made by Susan N. The colors are vibrant which is outside her comfort range but, as Susan said, it works! 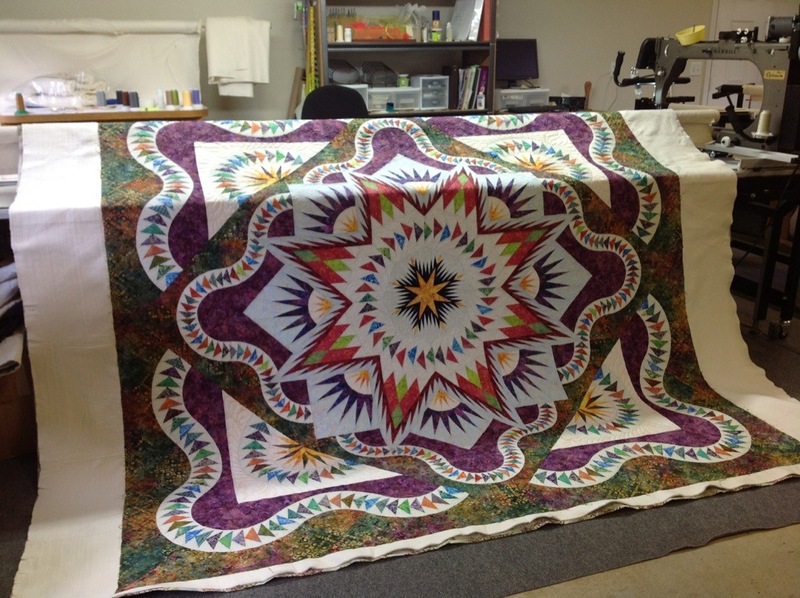 OHMIGOSH, Jean; this is one of (if not THE) the most gorgeous quilts I have ever seen! 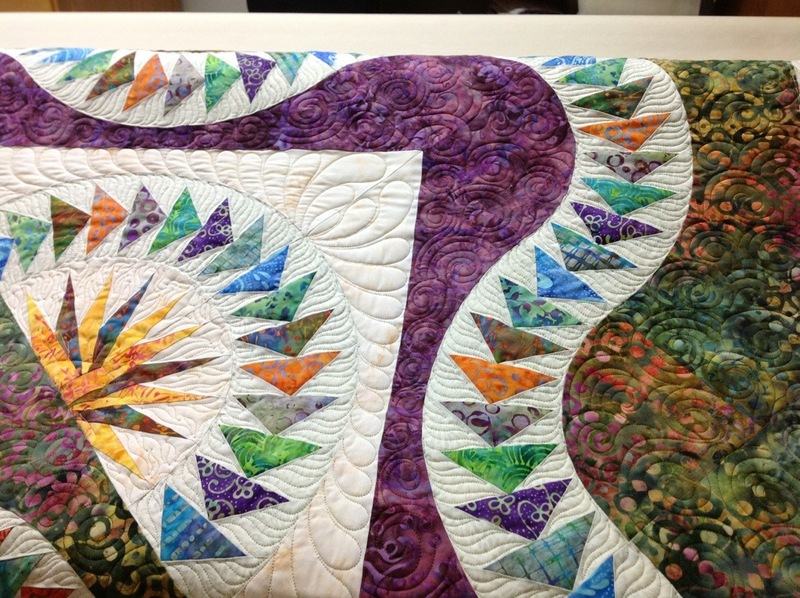 And the quilting is absolutely breathtaking. You are such an artist! And your quilter friend is amazing. I DO hope she plans to enter this in the state fair. I love, love, LOVE it. Can I share this picture with my friend Terri Staats (Sweet Treasures for the Home)? She has a nice blog that you should check out. It is beautiful, Susan did. Great job. Of course you can share it. Everyone enjoys looking at quilts! Thanks for your kind words. beautiful, this one is on my to do list.